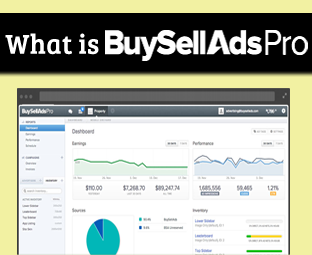 BuySellAds, the most dominating advertising platform has all his tails up because yesterday they launch a new monetizing platform called BuySellads PRO. It is a new innovative service that would provide much flexible and smarter earning opportunities to Professional websites. 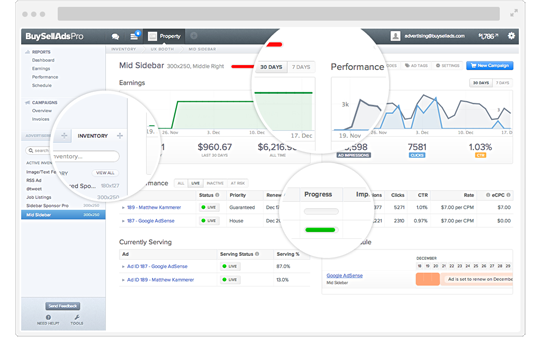 BuySellAds PRO consolidates lots of Tools used by site owners into a single interface. The company says that the publishers were so upset with the ad serving from one service, Payment via PayPal, and so keeping in mind they build this tool. Using BuySellAds publishers would be able to sale direct ads, programmatic ad sales, and could make use of advance serving in one place. 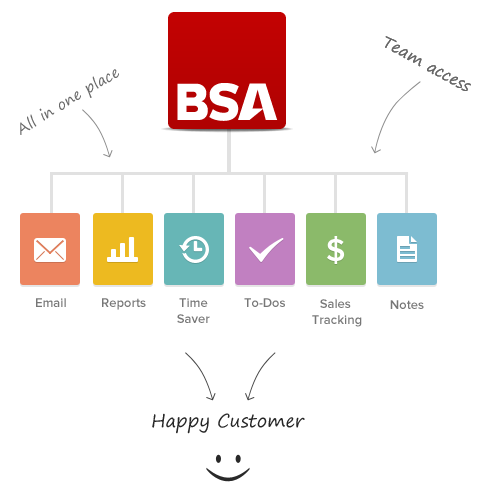 Being a BSA Publishers there is no need of any modification because their current interface and services are extremely outstanding, but to take it to the next level it’s vital to have a Professional looking interface with buckets full of features. Though, there are countless features in this new platform, but following are the foremost key points that make it better than others. Sell Direct: It allows selling ad directly without a middle person involving in it. Custom: Fully customizable and scalable solution for your business model. Simple Serving: The interface is flexible and allows tracking statistics up to seconds. 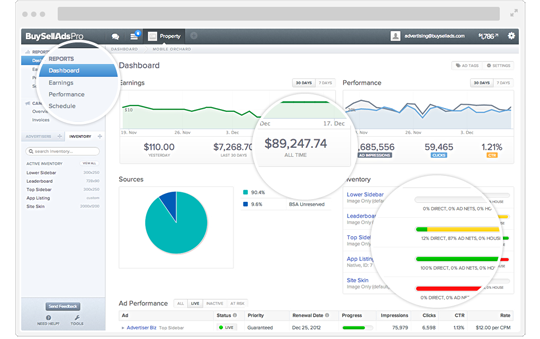 Programmatic: Connects inventory directly with the advertisers to make spotless decisions. Marketplace Connection: Allows connecting with BSA Market inventory to magnetize tons of targeted advertisers. Sell Across Any Medium: It doesn’t matters whether a person owns a website, mobile site or in-app for tablets and smartphones because it supports all platforms. Scheduling Ads: Just like a person schedules his articles on his website so it can publish automatically on a selected date and time. Similarly, BSA PRO allows users to select an appropriate time and date to start serving their specific advertisement. BuySellAds PRO gives you the tools to make the impossible possible. Build stuff that's never been done before. Integrate ads into anything with our flexible ad serving API. The sky is the limit here – the larger the scale, the better. This time they have come up with extraordinary interface. 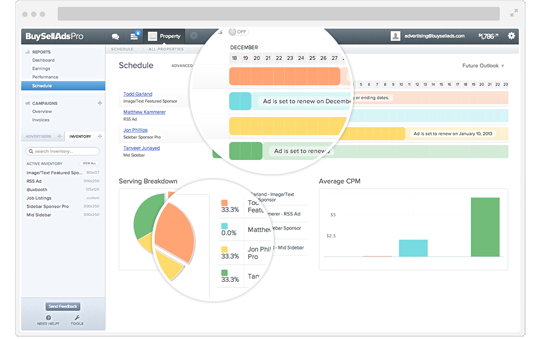 The statistics manager is extremely flexible and supports tracking up to seconds. It provides detailed information about the page views and legal clicks make by users. The CPC (Click per Cost) rates are also exceptional. However, to get into BSA PRO, a person must have a Professional site with heaps of traffic. Consider the following screenshots that we captured from BSA PRO. There are many tools through which advertisers’ analysis the quality of a website. 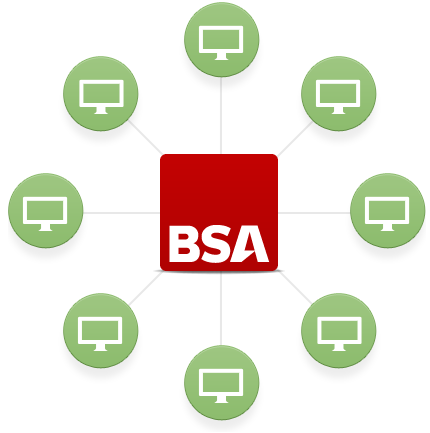 BSA would connect your inventory with a list of flexible tools that an advertiser uses while purchasing on your ad inventory. This would allow a publisher to earn more money. Publishers control all the pricing and extra details about their inventory. BuySellAds have made momentous strides as a company in a real short period of time. From a newborn company in 2008, they have made glittering success with early clients like Evanto and FreshBooks. The company earned around $8.5 million revenue in 2011. BSA Team has mentioned in their Sign up form that they are looking for serious and large publishes. Therefore, if anyone who is a member of BSA marketplace has to reapply for the PRO Account if he has heaps of traffic on his website. To request an invite do as follows. Select “Ready to go PRO? Let's talk”. Fill out the Form i.e. Full name, Website URL, Description and email. After filling the form correct press the Submit button to finish the process. So far we have not applied for BSA PRO because we are extremely satisfied with our current account. However, we would soon try it out. Those who are still waiting to get an approval from BSA should consider some tips or learn how we got approved from BuySellAds. What are your thoughts about BSA PRO? Feel free to leave your opinions till then, Peace, Blessings and happy applying. 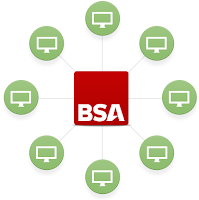 Great news from BSA.A truth about BSA is that only particular type of niche blogs are successfull on BSA like money making, internet marketing seo etc while those which relates to tech niche etc are not successfull because on BSA most of advertisers are related to internet buissness.Thats my own opinion as far as i have seen but i want to know what are Syed review about it. What is the difference between Buy and Sell ad and Adsense? I have Adsense on my blog. The difference between Adsense and Buy&sell ads. Adsense pays per click on a ad and Buy&sell pays Page impressions.